Why We Would Still Like A Xena Movie!!!!! 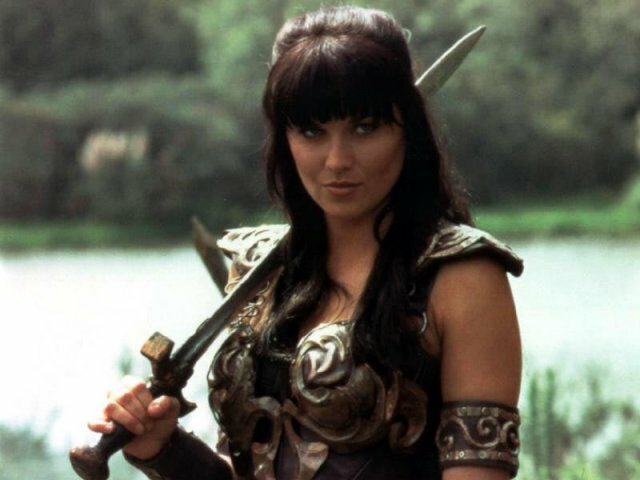 Why do fans of the TV series Xena, Warrior Princess still want a movie after all these years? Why after all these years is there still such a strong fan base? Why after all these years do fans still go to Xena Conventions? These are questions asked by both non-fans of the series and by studio executives. It is also something I was deeply involved with once before. Proudly we did it. We got a movie, then a series of movies, then spin offs of the series. We succeeded. It was a show that had not been on the air for almost 30 years. The name of that show? Star Trek. Fans make a difference. We actually got the first shuttle named after the Starship Enterprize. Fans do have a voice and we can use it. So those nay-sayers out there about Xena should remember about another movie that would never be made. The little steam engine that could. Xena is a fantasy series, it has broken all kinds of laws of story telling (beautifully and intellectually) and succeeded. So the fact that the lead character is dead does not mean a movie with the leads could not happen. The fans have spoken, our stars have stated their willingness but what it would take is a great script. I am hoping that behind the scenes there is an amazing screenwriter creating a great Xena Movie. A strong script is the most important thing. The other important thing is our support. Opening Weekend, because that is the only way to make the powers that be see that it was a good choice. So my friends it can be done, keep going. This entry was posted in Lucy Lawless, movie, movies, Renee Oconnor, star trek, Xena, Xena Movie and tagged lucy lawless, renee oconnor, star trek, xena, Xena movie by rithebard. Bookmark the permalink.